I awoke to the smell of fresh coffee and baking bread 🙂 Bodil had prepared a delicious breakfast, I’m totally sure if I invited a random stranger to my second home, or even my main home there wouldn’t be such a choice awaiting them next morning 🙁 Jens had contacted the Dans Hostel in Fjaltring which he assured me was 100km away plus he told me where to stay the following two nights all the way to Skagen, the Northern tip of Denmark so hopefully I’m all set now. 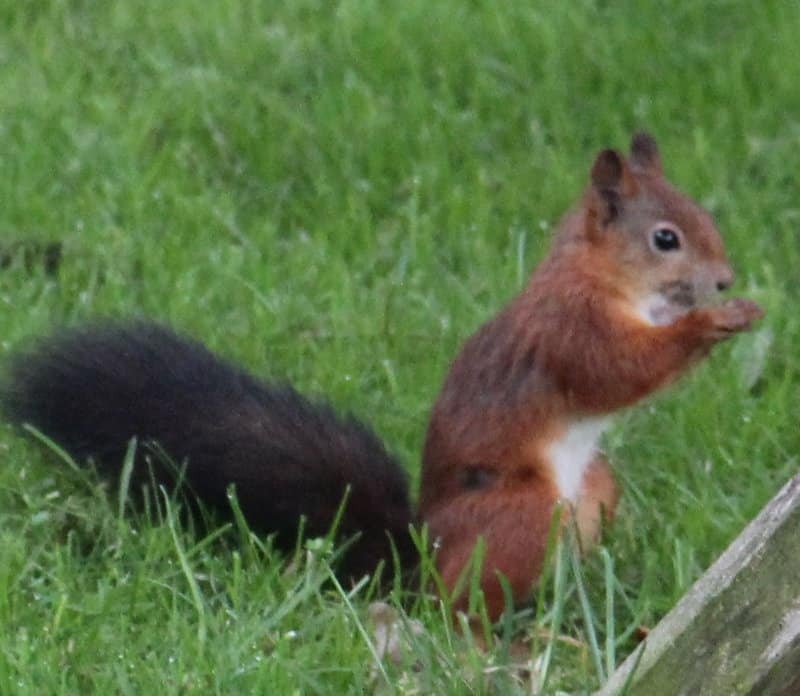 As I was leaving we caught sight of two red squirrels in their garden, they are far more attractive than the grey ones that have overrun the UK. 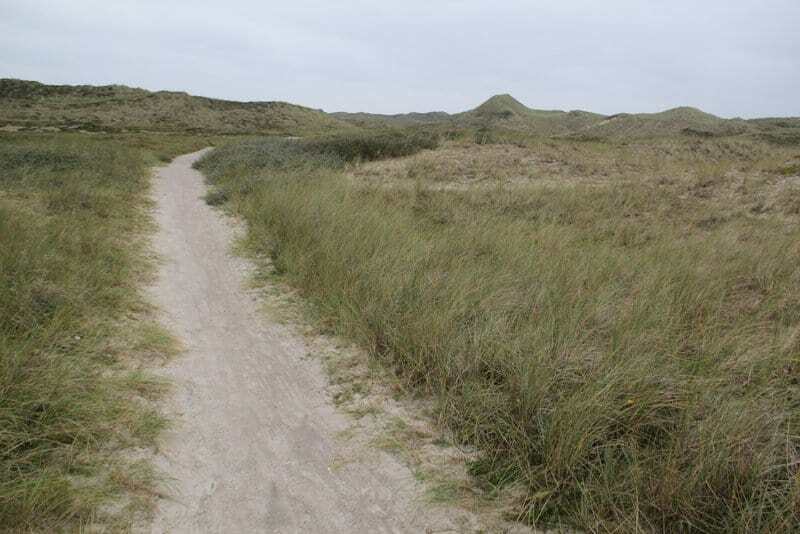 After two and half hours of biking I came across the first hotel in Hvide Sande so it was really, really good that I was rescued last night as all there was in between where I stayed and the hotel were endless holiday homes dotted around the landscape with no ‘real’ towns or villages. Once again I had mainly headwinds coupled with the grey threatening sky meant I had my arm warmers and big yellow jacket on all day. I felt decidedly under dressed when I took a quick look around the outlet shopping village in SendervigLys and had a spot of lunch. 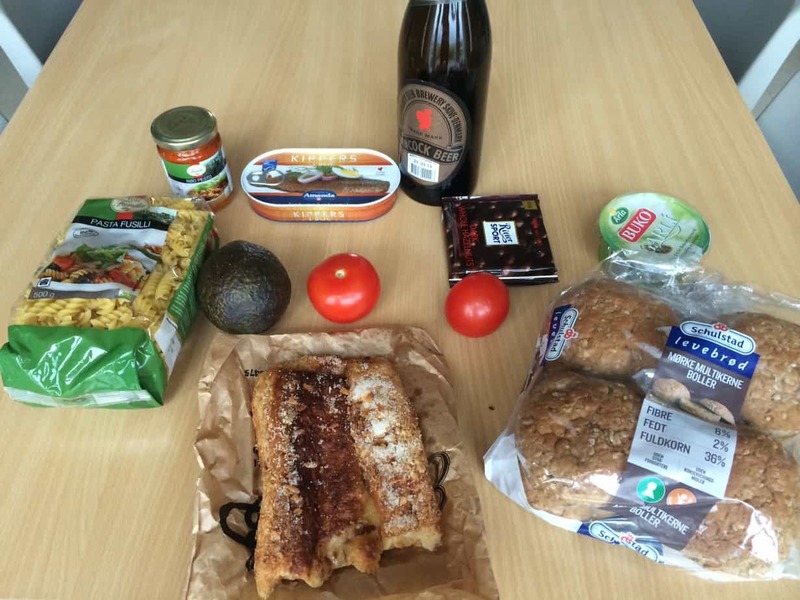 Jens had told me to get stocked up with food for dinner & breakfast as the hostel didn’t do food. 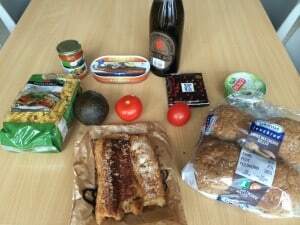 Thank goodness this is Denmark and not Germany or France those deeply religious countries which don’t allow shops to open on Sunday so I was able to get some pasta, mackerel etc to make a quick dinner at the hostel.